"Give a Day, Get a Disney Day" was a promotion that Disney ran at its parks in Florida and California in 2010. Essentially, Disney World and Disneyland gave away free tickets to participants who enrolled in its program and volunteered their services to help worthy causes. It was a limited-time promotion that ended when Disney had distributed one million park tickets. It reached that goal in early March 2010. MyMagic+ Disney World's "My Disney Experience"
Following is info about Give a Day, Get a Disney Day. Remember, it was a limited-time promotion that is no longer in effect. I am providing the the info below for those who are interested in learning how the program worked. When most people volunteer for a good cause, they generally aren't looking for any kind of reward. The act of giving one's time is, in itself, its own reward. But hey, getting something in return for volunteering is always appreciated, right? And when that something is a day at a Disney theme park, with passes going for beaucoup bucks, well that's really appreciated. That's exactly what Disney did in 2010 with its Give a Day, Get a Disney Day promotion. What Was Give a Day, Get a Disney Day? Simply stated, Disney offered a one-day, one-park ticket to any of its six U.S. theme parks within the Disneyland and Walt Disney World resorts to anyone who donated his or her time for a charitable cause. Not so simply stated, there were a number of caveats, options, and other things to consider before you started volunteering or booking your Disney park vacation. How Could I Have Participated in Give a Day, Get a Disney Day? The program was open to anyone, 6 or older, who resided in the U.S., including Puerto Rico, as well as Canada. A registrant must have been 18 or older and could have include up to 8 members of his or household in the program. An adult had to accompany kids, ages 6 to 17, for the volunteering opportunity. How Could I Have Received a Free Ticket to a Disneyland or Walt Disney World Park by Volunteering? First of all, you had to wait until Jan. 1, 2010. That's when the program kicked off and the registration period began. Beginning Jan. 1, 2010, you could have gone to Disney's Web site (or, for the Great White North, Disney's Canadian site), clicked on the Give a Day, Get a Disney Day link, checked out the volunteer activities, and signed up. You had to pre-register online to get your free ticket. You needed to complete your volunteer assignment. Disney would have sent you a verification email within 2 weeks after finishing your volunteer work with instructions about printing out your certificate. Then you could have redeemed the certificate at a Disney park prior to December 15, 2010 for your freebie admission pass. Would I Have Able to Redeem My Free Disney Ticket Anytime During 2010? Nope. The program ran from January 1 to December 15, 2010. Disneyland: February 13, 14, March 21, June 21, 22, July 4, November 21, December 11, 12, 2010. Should I Have Signed Up and Completed My Volunteer Work as Soon as Possible? Yup. Disney was limiting the free tickets to the first million people who participated in the program. Once it distributed a million tickets, the program was over. 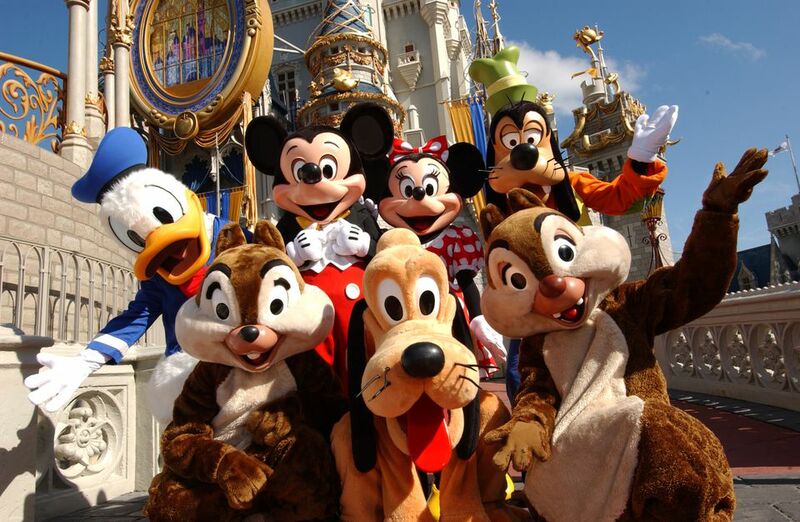 That may sound like a lot, but keep in mind that an estimated 47 million people visit Walt Disney World every year. What Kinds of Volunteer Work Qualified for the Program? The volunteer assignments were coordinated by the organization HandsOn Network. To get a sense of the kinds of work you could have chosen, such as volunteering for youth and workplace volunteering, go to the HandsOn Network site. What if You Already Had a Season Pass or You Already Purchased Multi-Day Passes for an Upcoming Trip? A Special Fastpass card for certain attractions for you and up to 5 additional members of your party. A collectible Ear Hat figurine with exclusive trading pins. Or you could have gone the altruistic route and allowed Disney to donate your free ticket to a non-profit organization on your behalf. Could I Have Applied the Value of the One-Day Free Ticket to a Multi-Day Pass? Yes. You could have also applied it to an annual pass. Why Was Disney Giving Away Free Admission to its Parks? Unlike the Free Admission on Your Birthday program for 2009, which only allowed guests to visit a park for free on their actual birthdays, an entire family or group of friends could have visit a Disney park for free together on the same day by participating in the Give a Day, Get a Disney Day program in 2010. In California, where many of Disneyland's guests typically go for a day visit, Disney gave a lot away, without necessarily getting a lot in return. In Florida, however, most guests come from outside the area and spend more than a day at the massive resort. Granted, a one-day, one-park ticket to a Disney theme park was not cheap. But the cost to enter a Disney park is only a fraction of the possible revenue that Disney can garner from its guests. Day guests generally drop a small fortune on meals and gifts in the parks, and overnight guests typically drop a huge fortune on hotels, lots of meals and gifts, and all kinds of other things that fatten the Mouse's coffers. Beyond the revenue it generated, Disney also generated plenty of goodwill and publicity with the giveaway during a difficult time in the economy. And, let's not forget, the program generated a million days of volunteer service. It would be nice to think that Disney had more than a bottom-line reason behind the program.